Rolex is introducing a new model in its Cellini collection, the Cellini Moonphase, featuring an exclusive display of the lunar cycle. 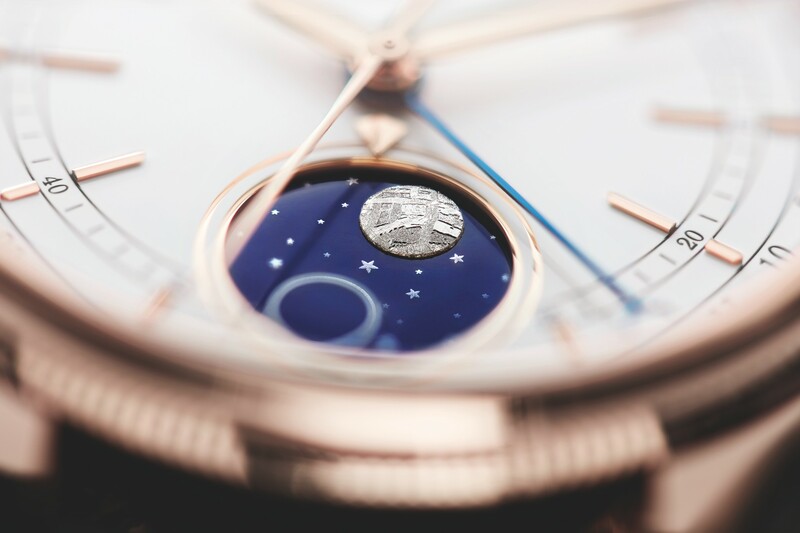 The 39 mm Cellini Moonphase is offered in 18 ct Everose gold. 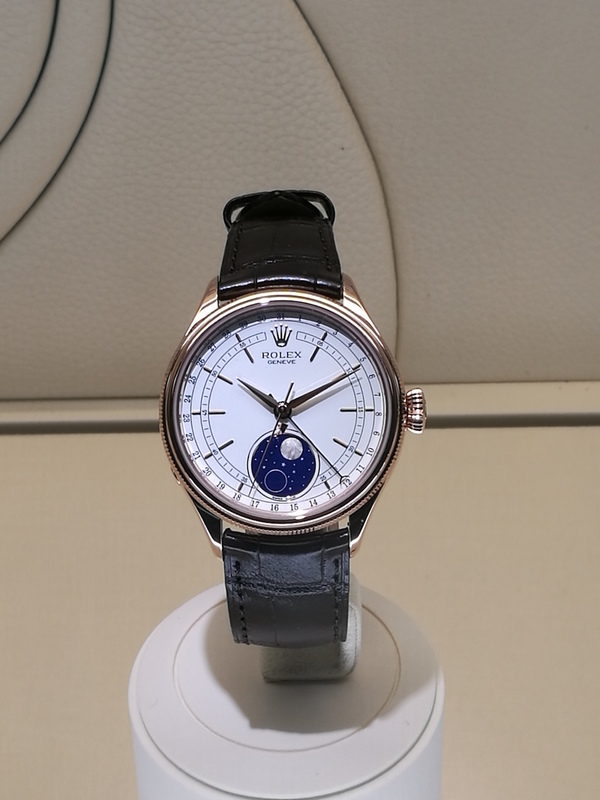 The Cellini Moonphase has a white lacquer dial with a blue enamelled disc at 6 o’clock showing the full moon and the new moon, the former depicted by a meteorite applique and the latter by a silver ring. The moonphase is read via the indicator set at 12 o’clock on the subdial, as the full moon and new moon rotate through the lunar cycle. The Cellini Moonphase also displays the date around the circumference of the dial, via a centre hand with a crescent moon at its tip. 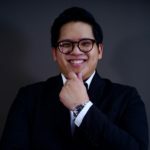 This new model is driven by a self-winding mechanical movement entirely manufactured by Rolex, whose patented moonphase module is astronomically accurate for 122 years. The Cellini Moonphase is fitted on a brown alligator leather strap with a folding Crownclasp in 18 ct Everose gold, a first for a Cellini model. 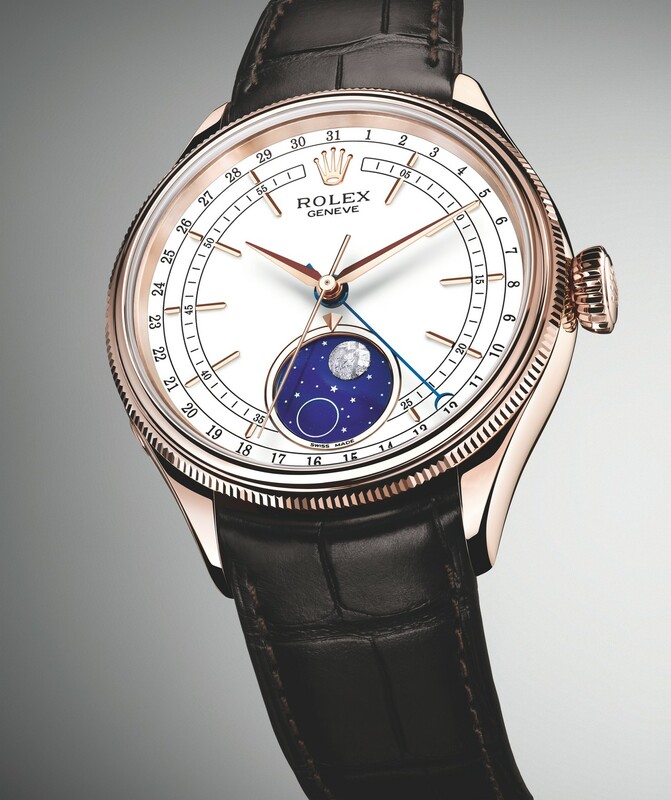 The price of this new Rolex Cellini Moonphase is 24,300 EUR or around 925,766 THB.